Traditionally in India every house has been purchasing assets like gold and silver on all the auspicious occasions, like Diwali, marriages, or receipt of annual bonus. We generally purchase gold and silver in physical form, either in the form of jewelry or coins. But now you can also purchase it in electronic form called ‘E-Gold’ and ‘E-Silver’. ‘E-Gold’ is an electronic gold currency operated by Gold & Silver Reserve Inc. under e-gold Ltd. ‘E-Gold’ units can be bought and sold through the exchange called National Spot Exchange Limited (NSEL) just like shares. ‘E-Gold’ launched by National Spot Exchange Limited (NSEL) has the perfect combination of both the forms – physical and electronic. Currently, NSEL offers gold, silver and copper trading in their E-series. NSEL enables you to buy gold in electronic form, and hold it in a Demat account. It provides a digital, crystal clear, and centralized trading platform with the facility to approach and enter in the market remotely. It facilitates risk free and trouble free purchase and sell of specified commodities to commodity market. NSEL is recognized by Ministry of Consumer Affairs, and Government of India. Since ‘E-Gold’ can be purchased in electronic form, you need to have a demat account. A demat account is like a case where you can store your stock shares, assets and bonds electronically. The existing demat account which you are using for transaction in shares etc. does not work for holding E-Gold units. Therefore, you need to open a separate demat account with one of the depository participant impaneled with the National Spot Exchange Limited. The list of such depository participants can be downloaded from the web site of National Spot Exchange. 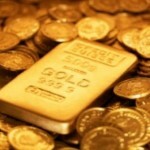 Due to rising price of gold in the present scenario, investing in e-gold is seen as safer options today. Since gold is an excellent protection against inflation, it is always best to buy gold as an investment. Purchase Cost: The purchase cost is the main factor why I want you to prefer e-gold over physical gold. In e-gold, you need to pay a small brokerage charge of 0.50% where as in case of jewelry, the cost may rise to 10-15%, which eats away your gold returns. Small Denomination: If one wants to take physical delivery of their e-gold units then they can take it in multiples of 8 grams, 10 grams, 100 grams and 1 kg too. Storage: E-Gold doesn’t have any risks of getting stolen or lost which is a big worry when it comes to buying physical gold. It is always beneficial to buy these digital assets, as there is no storage or holding costs like that for lockers. A small custody charge is levied which is to a tune of 60 paisa per unit per month. The biggest risk associated is that of the price movements in the leading market. In case you have a ‘BUY’ position and then the price starts to go down, or vice versa, you will be in a loss. Don’t just go by the traditional price hikes. Market works indiscriminately and what has been going up till now can start falling down anytime and at any moment. So from a trader’s point of view, it is required to keep a close eye on your investment. Another risk regarding e-purchase of these assets is that the buyer is not the outright holder of the gold, as the institution holds the metal on his behalf. With ‘E-Gold’, cyber security is also a matter of concern, as there is always a risk of account being hacked. Were you aware of this product? Have you invested in e-gold or planning to do so? Share your views through your comments below. I am new in this world. I want to buy e-gold. Where I can open demat account for e-gold and from where i can download form to buy e-gold. Can I buy directly from the NSE website? Please reply.